I’ve partnered with Colgate to spread the importance of a healthy smile for Oral Health Month #TimeToSmile #SonrisaColgate. One of the most important things we can do as parents is teach our children the importance of oral hygiene. Anthony- my son, is now 7 years old, he has lost 3 teeth so far and slowly his permanent teeth are coming in. This parenting stuff isn't easy, we don’t have a manual on how to be the best mommy and daddy but we sure have the wits and knowledge to know that a healthy smile is important. I love to spend quality time with my son and the more things I can do with him means the more I can teach him. This month we are focusing on Oral Health. 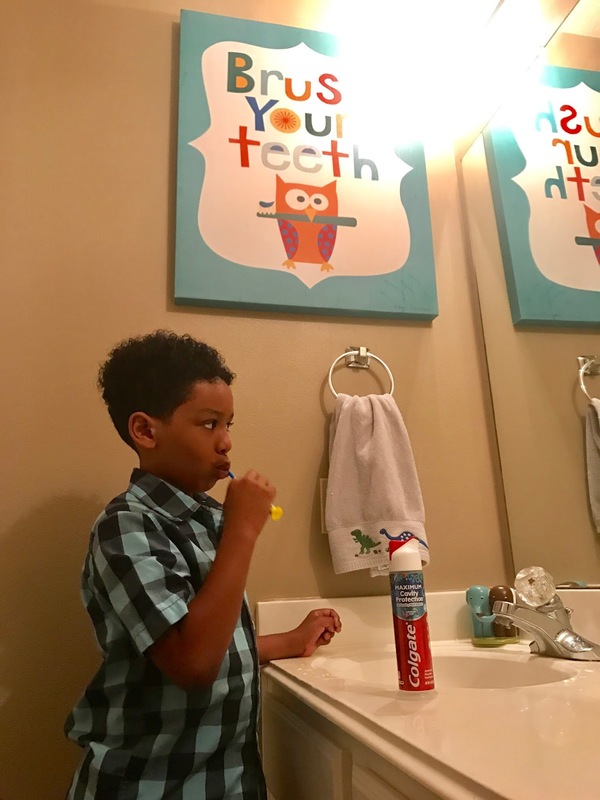 He knows the fundamentals - brushing after meals, flossing these pretty little gums of his daily and his favorite part of the routine….mouth wash! One thing that I enjoy doing with Anthony is brushing his teeth. Yes, he’s 7. Yes, he’s a little big boy and should already know how to brush but I don't mind doing it for him. At the same time that I am brushing, I am showing him how to brush, telling him the importance of a healthy white smile and I am building a trusting bond with my child. I love how he shows me his pearly whites after every brush. Did you know that according to a Colgate-Palmolive/Toluna Survey in March 2016, Hispanics report oral health issues at higher rates than the general U.S. population? Yup, 87% of the Hispanic parents surveyed know that early oral care education is very important for their children, however 59% think they can do a better job of it. As a busy mom, I can relate. 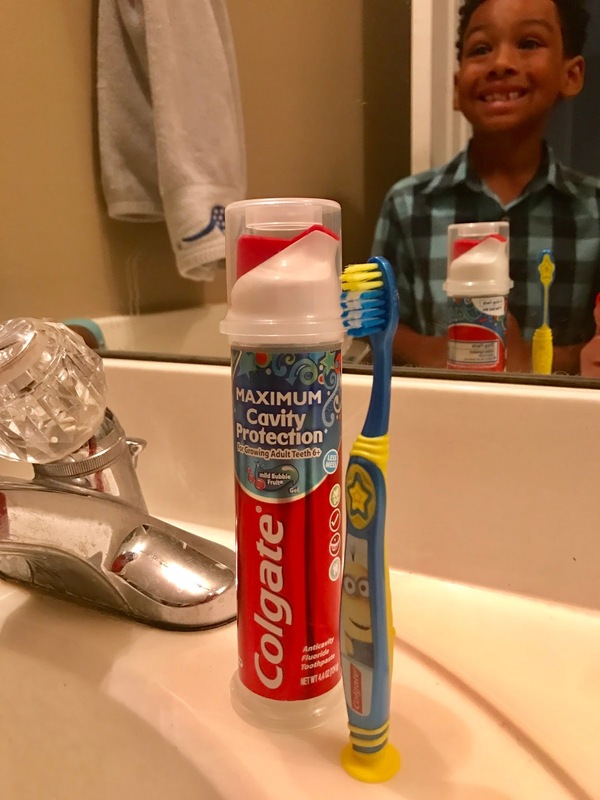 I am glad I partnered with Colgate to remind me and my family of the importance of a clean mouth. Colgate is committed to improving oral health for everyone to have a future they can smile about. 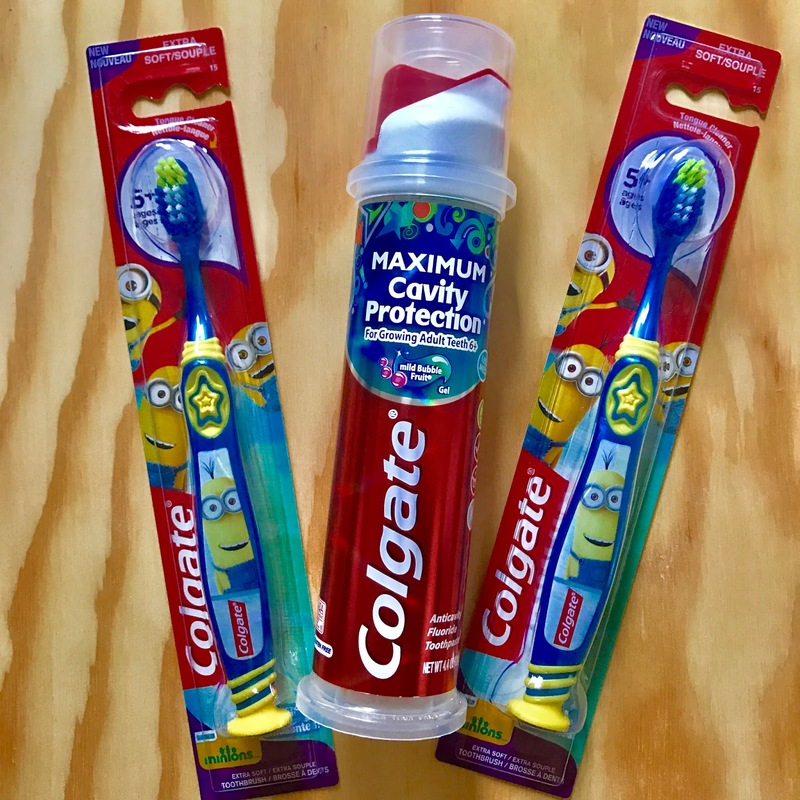 Colgate and the American Dental Association (ADA) will continue partnering in the campaign “Oral Health Month: Share More Time, Share More Smiles”.I hope you do the same with your little ones. You can also help spread the word that for every image liked, shared, or posted on social media between June 1, 2017 and June 30, 2017 with the hashtag #TimeToSmile, Colgate will donate $1 (min. $10k, max. 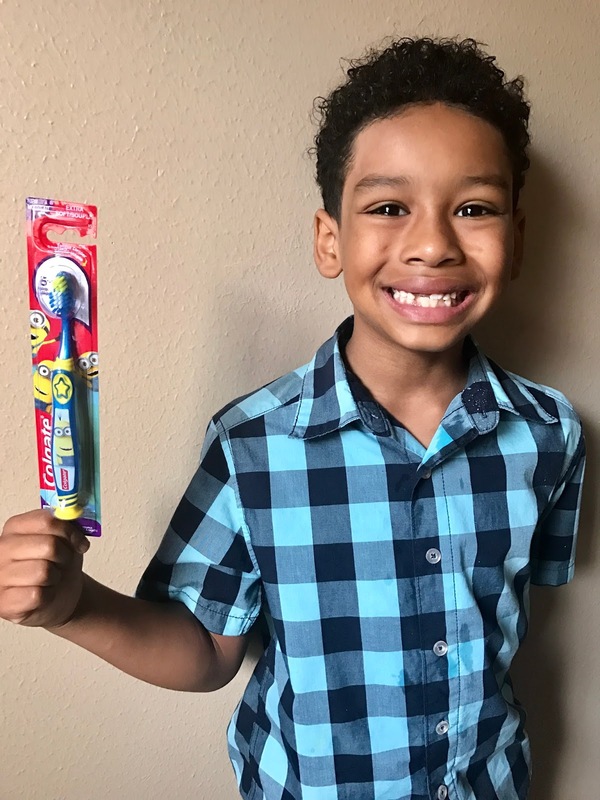 $40k) to the ADA Foundation’s Give Kids A Smile® program that provides free oral health care, education and screening to underserved children. Colgate, in partnership with the ADA, also offers bilingual oral health education materials such as shareable infographics, activity sheets for kids, and other oral care resources on colgate.com/sonrisas. Bilingual videos, articles, downloadable family activities will also be available on the ADA’s site MouthHealthy.org/OralHealthMonth.